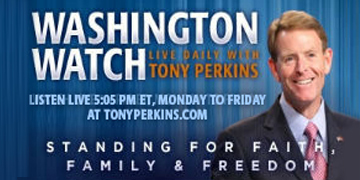 On this weekend edition of "Washington Watch with Tony Perkins" Senator Jim Inhofe (R-Okla.), who serves as chairman of the Senate Armed Services Committee, joined Tony to discuss a new report showing a disturbing level of weakness in the U.S. military. Former Congressman Ernest Istook joined the show to discuss the history of bipartisan support for religious freedom and to explain why Democrats have turned against it. Also, UC Berkeley student Isabella Chow shared about the biblical stand she took and the criticism she has received on the far Left campus.